For high school and above. A vocabulary notebook designed to have your students record any new words or expressions in context and to help them take responsibility for the words they learn. Students choose and record the words and expressions they want and need — from texts, from classroom study, from newspapers and magazines, from real-life experiences. Students record words in context in easy-to-follow templates and review them in frequent and varied review exercises. 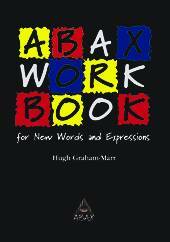 Includes 28 pages of review exercises to recycle students through the words they themselves have collected.